The March Magics theme this year is “A Matter of Lives and Death” — the Lives part referring to the Chrestomanci series, since Chrestomanci is the title of a nine-lifed enchanter. For the Diana Wynne Jones read-along for March Magics which Kristen @ We Be Reading is hosting, four of the Chrestomanci books were featured. AAAAAAAAAAAAAHHHH I LOVE THIS BOOK SO SO MUCH!!! It may be my absolute favorite Chrestomanci book ever. ❤ And one of my top DWJ books, period. Just so much is going on in this thing! Not to mention all the fabulous characters, including several familiar ones. And I so so enjoyed reading about Chrestomanci and his misadventure or two and how he fixes things when he knows about it; Marianne and the Pinhoe shenanigans; Cat and his problems with having to raise a baby griffin, keep a horse happy, help Marianne without Chrestomanci (doesn’t go so well), and learn more about his magical abilities, because he is, after all, going to be the next Chrestomanci someday. Cat is just a fabulous hero. I really like him a lot, for some reason. Marianne is a lot like Cat, though his opposite in some ways. They’re fun together. Millie is the best mum/wife ever. She’s so calming and great! Gah. Time would fail me to talk of sullen Joe Pinhoe, Roger and Julia, Cat’s sort-of-sister Janet, the lovely Irene (formerly Pinhoe; yes, there are a lot of Pinhoes in this), and all the rest. But it’s such an awesome cast! Plus Klartch the griffin. There’s also a unicorn. Yesss to the fantasy goodness. Last, but far from least, Chrestomanci himself is the absolute BEST! I felt like we got to see an unusual amount of Chrestomanci in this one, which was fantastic! His dry and witty dialog, his sarcastic look that makes you want to melt into the ground, his elaborate dressing-gowns (one for every day of the year, according to an interview with the author! ), his elegant suits, his vague looks that mean he’s paying extreme attention, his calm ability to step in and fix a magical disaster efficiently and with some great sarcastic remarks — as soon as he knows the disaster is there, of course (since the main characters often don’t tell him until it’s almost too late). But he’ll also make sure that the right people help fix it, so that they learn from their mistakes, etc., and also that the right people get their comeuppance. It was also fabulous/hilarious to see him more in a parental-type-role, dealing with the antics of his son and daughter, Roger and Julia, as well as with young Cat and Janet. Chrestomanci (a.k.a. Christopher Chant, since Chrestomanci is merely the title of the nine-lifed enchanter) is simply one of the absolute best characters ever; and if ever I was in a magical difficulty, I’d definitely want his help! Have you read any of the Chrestomanci books? (Which is your favorite?) If not, you must read one ASAP, because they are delightful books, and you need Chrestomanci in your life! What if a mysterious magical being who had been asleep for 350 years, woke up in modern times, found the castle of his former home turned into a tourist attraction, and decided to make mischief? That’s Wild Robert for you! Heather has a lot to put up with when she accidentally summons him into her tourist-crammed day… Shenanigans ensue! I’d never read this one before. It made me think a little bit of Eight Days of Luke, and maybe a dash of Howl’s Moving Castle for one tiny reason. DWJ once again blends fantasy, history, modern times, humor, strangeness, and fascinating characters in a bizarre but heart-capturing read. It’s not all fun and pranks though… there’s a deeper mystery and something sinister behind all of this, and the reveal twisted my heart and made me feel bad for poor Robert! I was conflicted about this strange impish character — he definitely keeps you guessing. 😉 He’s a fascinating mystery, I guess you could say. It stopped rather before I wanted it to… I could have read another two or three hundred pages on this!! So at first I was sliiightly disappointed about that, but at the same time it works perfectly, ending at just the right place to let the imagination wander free about what might happen next… 😉 So I’m happy with it. 🙂 DWJ always leaves you wanting more! What would you do if you were a magical person who woke up after 300 years and found your castle turned into a tourist attraction? And have you ever read a book where you wanted the ending to continue? Let me know in the comments! 1. First thing’s first: Time travel! There was a bit of time travel near the end of the book, which was SUPER awesome! I will not say anything more about it, but suffice to say that it was fabulous. 2. It’s told in first person by Mig, a girl who likes to write (kindred soul!). She tells us the story in her journal. I don’t always care for first-person, but I really liked how it was her journal! It gave the story such an immediate feeling and all the descriptions etc. felt so up-close-and-personal, somehow. And it didn’t feel like a normal journal-or-letters type story, because it wasn’t under daily headings or anything, but had more of a flowing-together sort of feeling. Anyways, it was so well done. 4. The plot was super interesting and complex, with so much going on under everything, even though it seemed pretty ordinary on the surface for awhile. It was soooo strange! (Like DWJ books always are.) But also fascinating. The undercurrent of magical things, the strange, almost sci-fi/dystopia set-up of the strange village, Cranbury-on-Sea, with its people divided into vacant worker-men, women who work for Aunt Maria, and clone-like children in an “orphanage.” There are so many questions about EVERYTHING, so it’s very much a mystery (especially since we’re in Mig’s limited point of view). 6. Dislikes: Aunt Maria was awful! (So were her followers.) Eep. She acts like a sweet, innocent, helpless old woman, but she’s sooo creepy! Not that that’s a bad thing, exactly (meaning it’s not something I dislike about the book, I just dislike her. XD). I don’t care for splitting-up-couples storylines, so I’m not sure how I feel about that part, though under the circumstances I suppose it turned out as well as it could. 7. I felt like there was a lot of deep stuff going on… It really felt like it was presenting a lot of thoughtful takes on society and men and women etc. It was really interesting and I can’t really explain it. I might be able to put my finger on it better on a second read, but my first thought is that it had some fascinating ideas about society. 8. The characters were all so complex and well-written that most of the time I was kept guessing and re-adjusting on who I thought was good, bad, or on their way between changing back or forth, or just (as was often the case) had bits of good and bad mixed up in them just like real people. 9. Also contains: humor; a wolf-hunt (which is not what it seems); cats and wolves who are not what they seem; a fascinating bit on what it’s like to have a cat’s perspective (so adorable! ); a mysterious elderly brother-sister pair (she’s tiny, with a tendency to fall over; he’s brusque and grumpy with a tendency to practice the art of swordsmanship—mostly standing holding a sword over his head); an ending which wrapped things up in a way that for the most part I really liked; and, of course, lots and lots of tea. 10. I think I need to reread it. What’s the good of being civilized, that’s what I’d like to know? It just means other people can break the rules and you can’t. Rating: 3.5 stars, rounding up to 4-ish? 4. How everyone pretty much got their due at the end… more or less. It made it almost worth it. 5. Basically, it was way too long to spend reading a 150,000+ word novel about horrible characters being horrible to a poor put-upon heroine, and all the characters being paired with the wrong characters through almost the entire book until like the last two pages (I’m not even exaggerating), in which all that happens is awful things to the heroine. IT WAS HARD TO HANDLE, OKAY. I don’t usually say books are too long, but I would have been okay with this being a third of the length instead of suffering through that. many. pages. Don’t get me wrong—it was well-written and I did enjoy things about it (see above) but the subject matter was just so unpleasant that I, personally, had a hard time reading it. Have you read Mansfield Park, or any Jane Austens? Let me know what you think of them! Time for a look at the books on my nightstand this month and at what I’m up to for #MarchMagics! (Nightstand Books is a monthly meme created by DJ Edwardson and Jenelle Schmidt. King’s Blood is quite enjoyable so far — I missed Trevn and Wilek so much and didn’t realize it until I started reading! I don’t have much to say on it yet because I’m still reading, but I’ll have a full review of it up on my other blog when I finish. So far an excellent book and I can’t wait to finish! Perhaps I shall do a mini-reviews post for these soon? I’m still hoping to re-read Year of the Griffin (for the readalong on the DWJ Goodreads group) and if I can make time, I’d also love to read at least Reaper Man and possibly Soul Music for the March Magics continuing Pratchett readalongs, but we shall see! So there you have my ambitious load of March books! What’s on your nightstand this month, fellow readers? Have you read/want to read any of these? 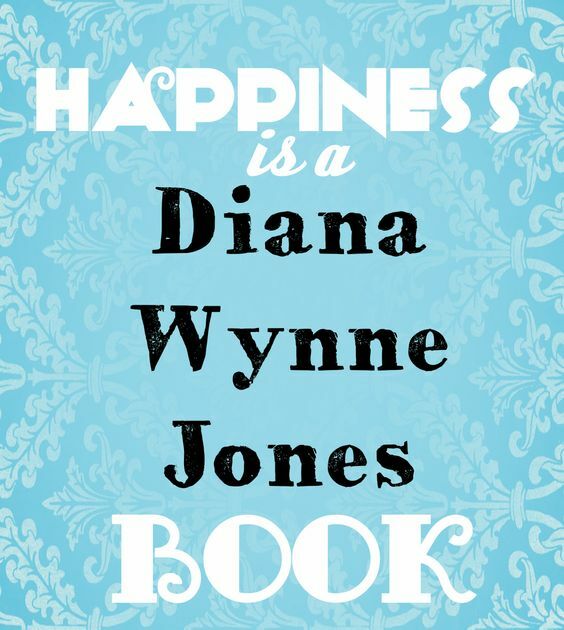 And have you added a Diana Wynne Jones book to your to-read-soon stack or list? (Hint: you totally should! 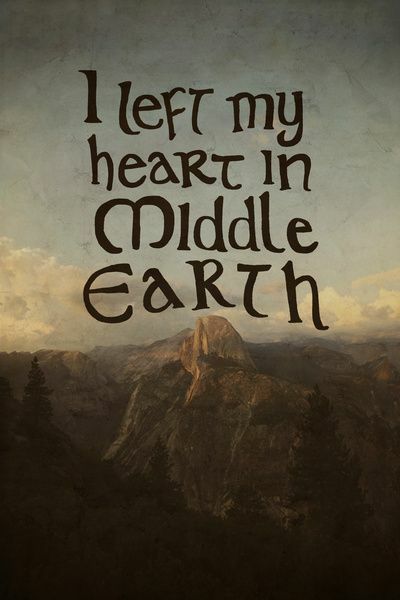 ;)) Tell me your bookish adventures of late! Sometimes I mean to do a post of just a book quote, if it’s a good enough one. Well, I found one today when I read Aunt Maria by Diana Wynne Jones (in honor of Diana Wynne Jones March / March Magics). This is how I feel about stories that people say are “realistic”, and about those who say that happily-ever-after endings aren’t realistic. I believe that happy endings are better… and just because something’s unhappy doesn’t make it truer. So here, have a quote I love from Diana Wynne Jones. 🙂 Her character, Mig, says it so well as she tells the story.